The Level 1 workshop introduces the basics of abstract painting with oil paints and cold wax medium. Through demonstrations and hands-on exploration, students will learn the following aspects of this fascinating process: materials use and sources, basics of composition including design & balance and colour relationships, how to manipulate and layer paint, using texture & mark making to create interest, and ways to include hidden and/or embedded elements. Students will be given individual attention and will have plenty of working time to complete 8 to 10 small paintings. No previous painting experience is required, only a positive attitude and a desire to learn something new! In the Level 2 class, students will continue to develop their work in cold wax and oil. Reviews of Level 1 techniques will be offered and additional techniques and materials will be introduced. This workshop emphasizes developing personal style and expression, sharing with peers who are experienced with cold wax medium, and includes presentations and demonstrations. Private and group critique sessions are introduced at this level, with emphasis on the artist’s goals and direction. Level 2 classes are exclusively for students who have taken Level 1. 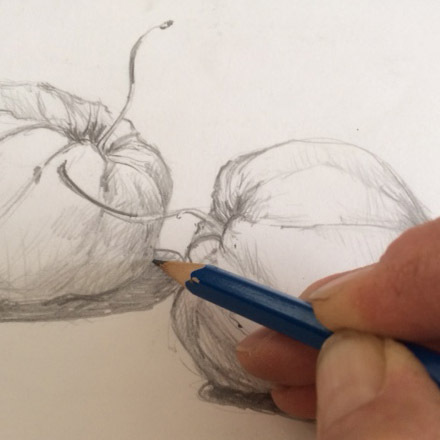 Pushing the Pencil Drawing Class: hands-on beginner classes that will have you drawing in no time! Drawing is all about lines, shapes, perspective, shading and FUN! Maximum 8 students. 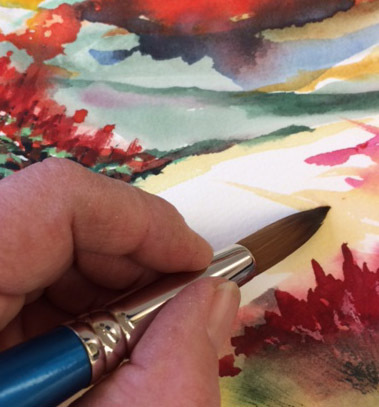 Splishy-Splashy Watercolour for Beginners: don’t believe what they tell you about watercolour painting, it is easy! Learn the basics as we move from first brush-dip in the paint to completing several pieces. A starter kit of 2 brushes, paint and paper may be purchased from instructor. Maximum 8 students. 8 weeks starting May – Tuesdays 7:00-9:00.